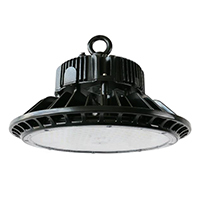 A flexible high lumen high bay that can be used for general flood lighting, corridor lighting, security lighting, and roof top lighting. Flexible, modular design and is fully sealed with an IP rating of 65. Multiple choices of optical lenses and has an aluminum housing. Easy installation and maintenance.